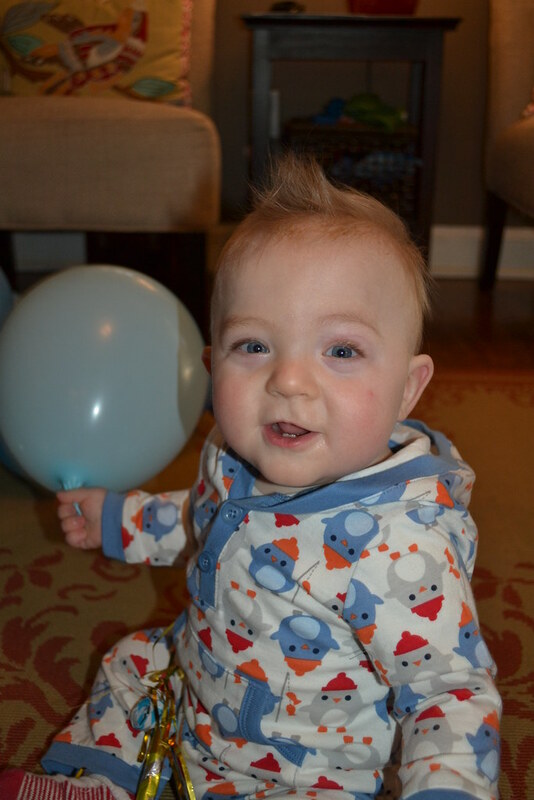 One year ago, my son Henry was born. He was 3 months early and had a loooong road to recovery. Now he’s a healthy little baby whom we’re so proud of. 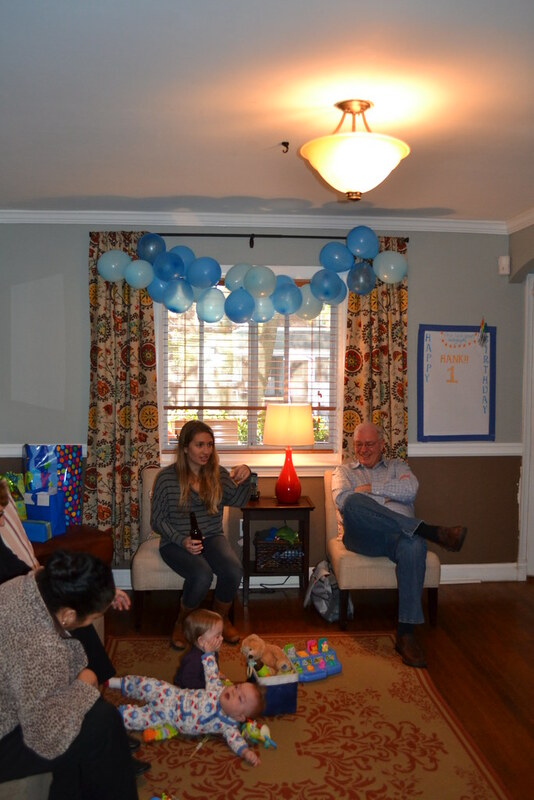 Saturday we hosted an open house for his 1st birthday to show our appreciation for the many people who helped us through those difficult months. 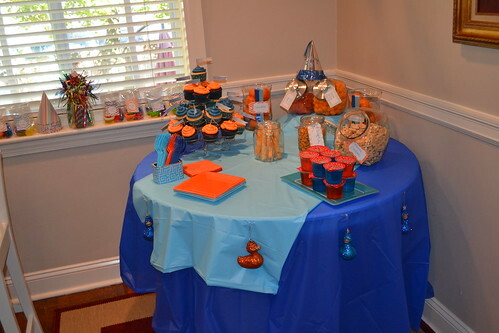 I also used it as an excuse to hone my DIY party skills using a blue, teal and orange color palette. Below are shots of the party. Enjoy! 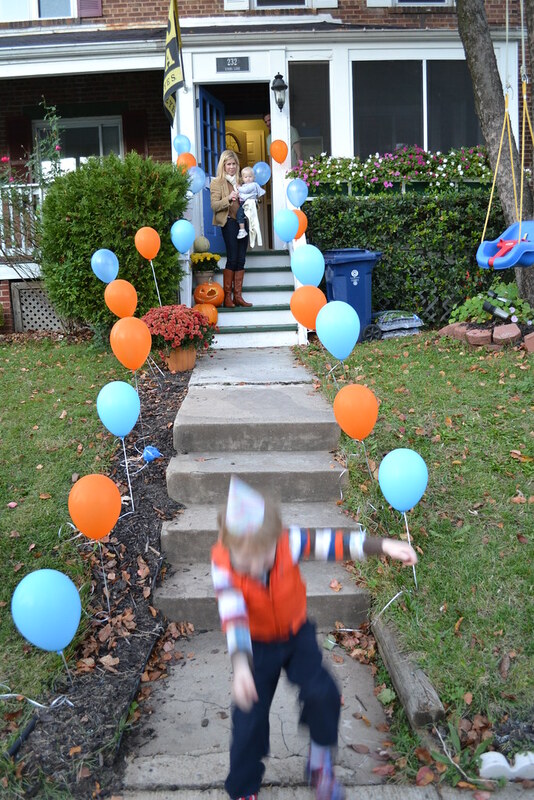 Balloon walkway — so easy and fun to do! After the party the kids had a great time with them. 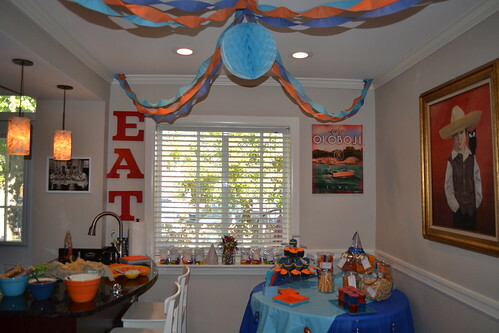 Our fun balloon garland. We took a needle and threaded string through the balloons — so easy! The food mecca. 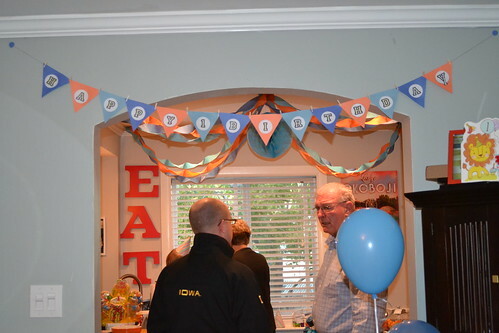 It’s hard to find orange and blue food so of course I had to rely on goldfish, cheese balls and other fantastically terrible food for this party. The cupcakes are compliments of our fantastic friend, Jill Agudelo. She’s amazing at all food, as she should be since she’s a recent graduate of Culinary school. 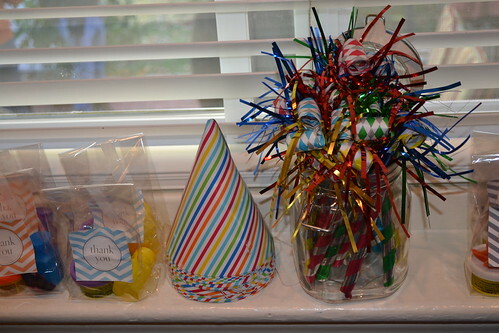 I used printable labels to label all of the jars of goodies. I think it added a great touch. Our giveaway section. I melted crayons and formed them in the shape of stars. I also printed off the thank you labels and glued them to the bags for each of the kids to take home with them. 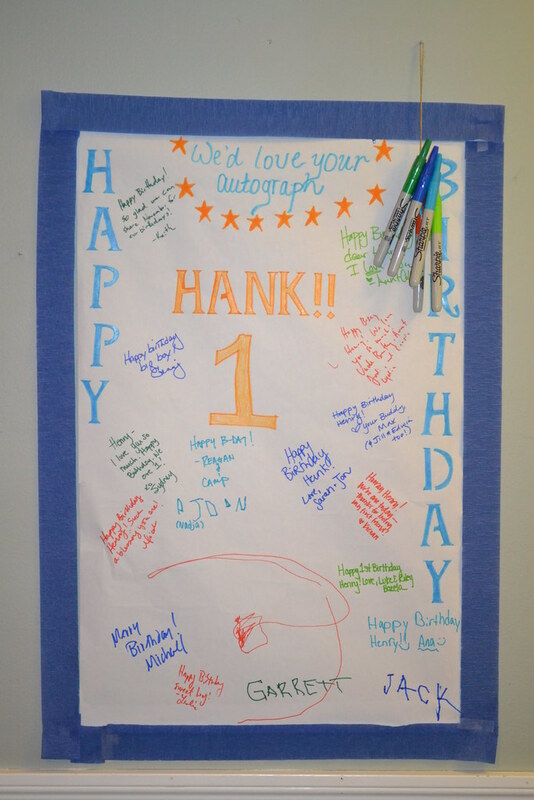 We wanted Henry to always know who was part of his recovery and the first year of his life. I’m going to frame this and put it in his room. A party can’t be complete without photos. 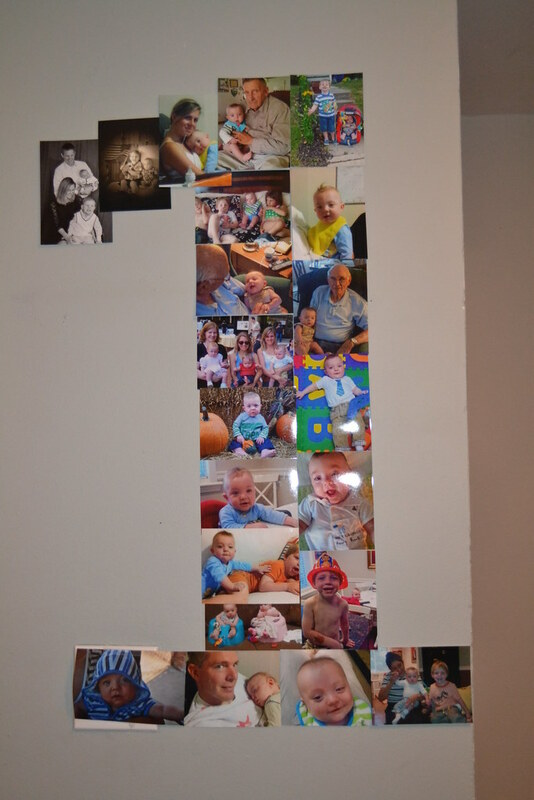 This was a fun way to show everyone Henry’s 1st year.